The Samsung Magician software facilitates easy maintenance and use of Samsung SSD products connected to a desktop or notebook computer. 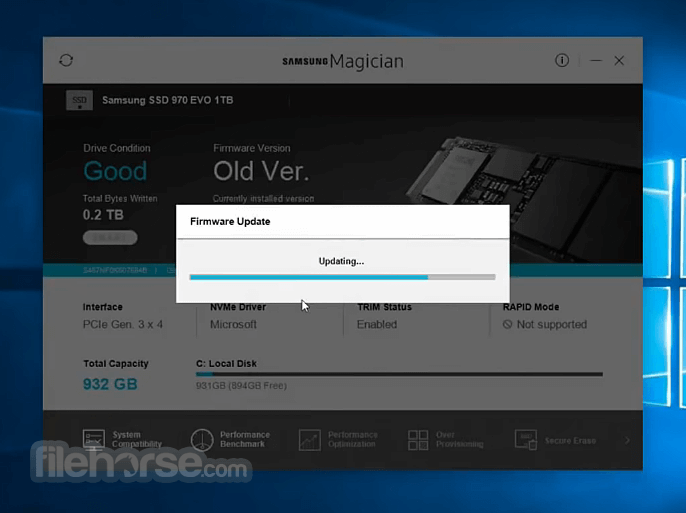 In addition to providing information about the users system and SSD product, Samsung Magician also supports advanced features, like SSD performance management, benchmarking for optimum performance, new firmware updates, etc. SecureErase function can fully erase data on the drive in less than 1 minute. 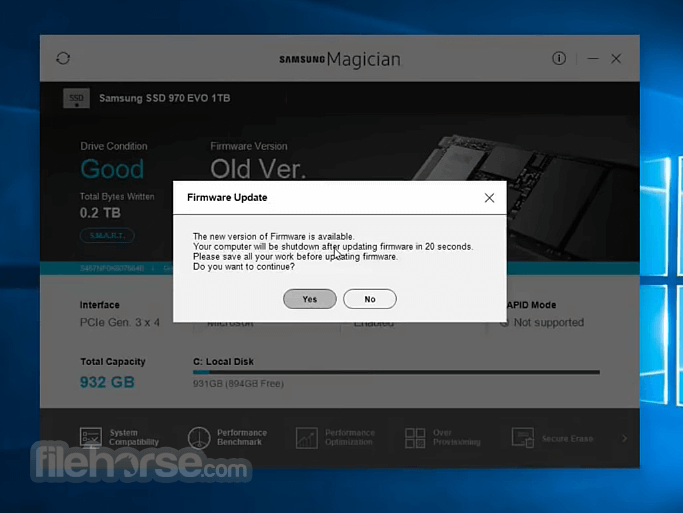 Update function confirms that latest firmware is installed from the Samsung website. Automatic OS optimization for Superfetch/Prefetch, ReadyBoost, and DIPM settings. 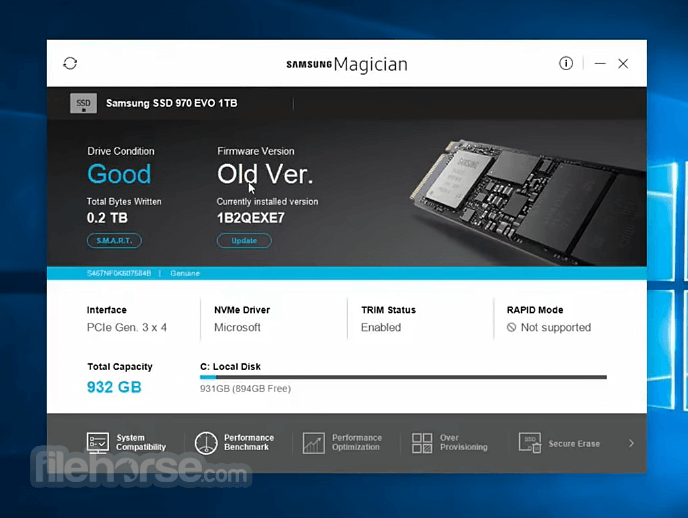 Benchmarking application tests performance of the SSD, and other connected devices. Fully compatible with all previously shipped Samsung SSD drives.